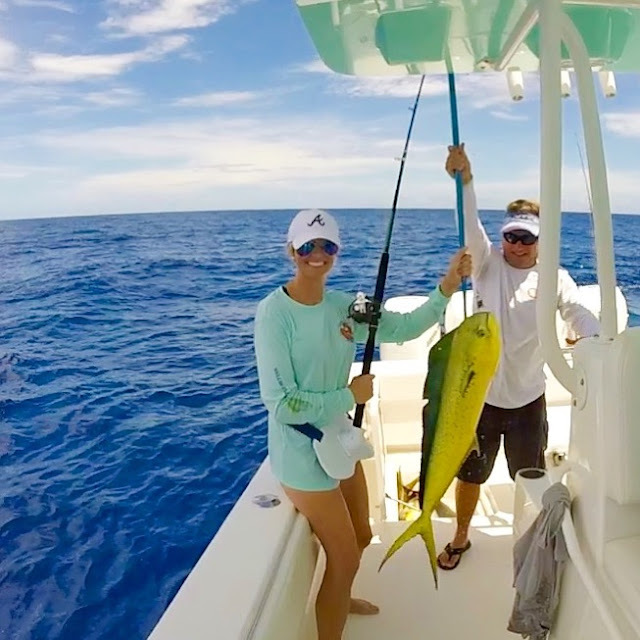 Remember a few weeks ago when I shared about our Key West trip and all of those huge Mahi Mahi that we caught?! Well, the good thing about having such great luck fishing means tons of fish to bring home. All of the couples got to bring home tons of fish and now our freezer is stocked! 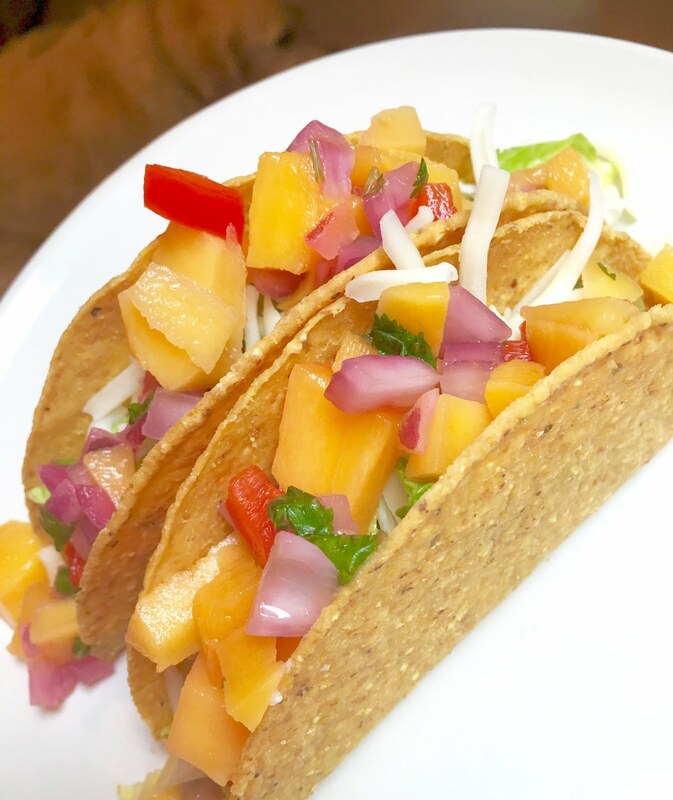 I've been looking for different ways to cook it and thinking back to some of our meals we had in Key West I immediately decided fish tacos with mango salsa would be added to the list. 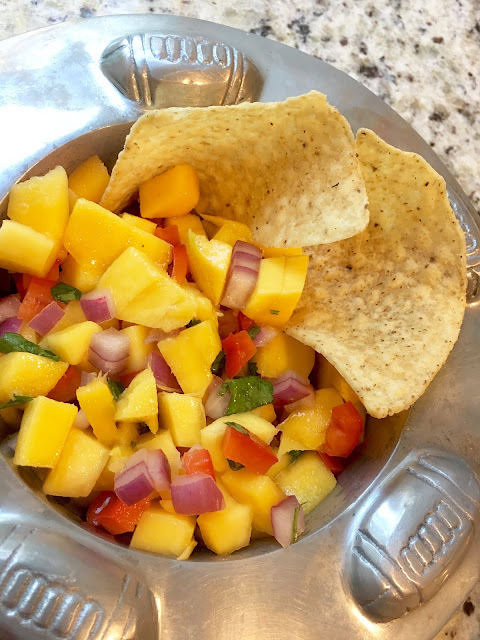 I started looking around for some fresh mango salsa recipes, but couldn't find anything that was exactly what I was hoping for so I decided to just give it a whirl and try creating my own. That could have gone way wrong, but instead it went oh, so right! This mango salsa was seriously so delicious I might have hurt my shoulder patting myself on the back. The hardest thing was cutting that dang mango. I had to google how to do it properly and still ended up throwing half of it away because I pretty much butchered it. Next time I make this (and there will be a next time!) I think I'll probably just buy some already pre-cut. 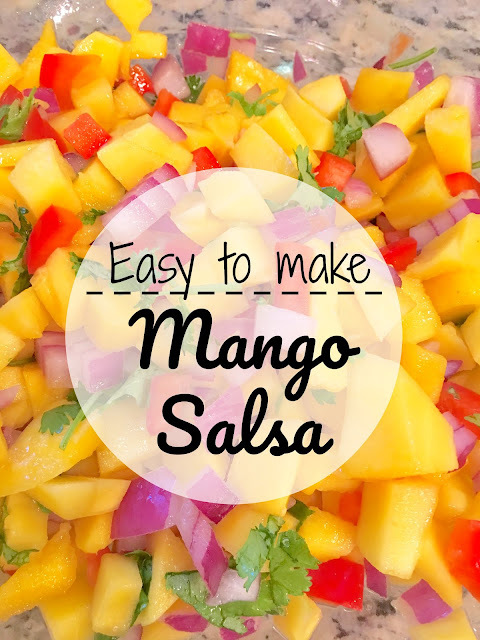 Combine mango, pepper, onion and cilantro in a mixing bowl. Drizzle with lime juice and mix well, season with salt to taste. Stir and serve! This salsa was SO very good. I had made it ahead of time for the dinner we were going to be cooking the next night, but we couldn't wait to eat it so we had some of it that night with tortilla chips and I could have finished off the whole thing. It was that good! I made myself save some for the next day though because those fish tacos were calling my name. I baked the Mahi Mahi and added that with lettuce, cheese and the mango salsa to our taco shells. Not only did it look nice and colorful, but it seriously tasted like something from a restaurant! This is such an easy thing to make ahead of time and last for up to 2 days covered in the refrigerator. Have a Bear-y Good Day!